What Makes Four Roses Yellow Label Go With So Many Cigars? The short answer to the question is: I don’t know. If you are looking for something Earth-shattering or based in scientific research I’m not going to be able to help you. But if you want to know my thoughts based on years of unscientific research (technically I did form and test a hypothesis and take notes) here’s what I think. Four Roses Yellow Label, which has undergone a packaging and name change recently to become Four Roses Bourbon (TBFKAFRYL), was once only available in export markets, primarily Japan. Becoming popular in the United States again was an uphill battle – during the decades when Four Roses Bourbon was made here but only exported, a blended whiskey called Four Roses was sold in the United States and it was not great. 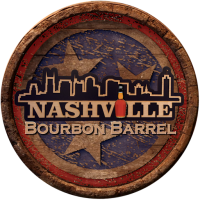 Today’s Four Roses is around $22-30 and it’s a Kentucky Straight Bourbon batch of all ten Four Roses recipes – from two mash bills and five yeast strains. My theory as to why this bourbon pairs so well with such a wide variety of cigars rests on these ten different recipes, all significantly different. Pairing bourbon and cigars is no easy task, and oftentimes you will find one or two cigars that go with a given bourbon because of the narrow window of opportunity to match complimentary flavors. Because of the wide variety of flavors in Four Roses Bourbon there’s more of a flavor palette to pull from to enhance the cigar smoking experience. There’s also something to be said for a lower bottling proof. Four Roses Bourbon is bottled at 80 proof, which has the effect of not overwhelming your palate and competing for your attention when you are enjoying a fine cigar. L’Atelier Surrogates 7th Sam – A very balanced pairing. The smoke brought out brown sugar and baking spices in the bourbon, while the bourbon dulled the spiciness of the cigar and replaced it with rich chocolate. Black Label Trading Co. Killer Bee – Have you ever had honey infused with habanero? That’s almost the effect the smoke of this cigar has on the bourbon. The bourbon brings out a faint cocoa note in the smoke. Dunbarton Umbagog – The smoke from this cigar mellows out the spiciness of the bourbon, bringing its sweetness to the forefront. The bourbon highlights the milk chocolate notes in the cigar. Drew Estate and Caldwell Cigars All Out Kings Give Me Your Lunch Money – The smoke from this cigar makes the bourbon taste like apple pie, while the bourbon brings out a wide variety of flavors in the cigar from cream to cedar. Ashton Cigars La Aroma De Cuba Mi Amor – The smoke mellows the bourbon and brings out ripe red apple notes, while the bourbon brings out coffee and dark chocolate in the smoke. Padrón Anniversario 1964 – The smoke highlights the ripe apple and baking spices in the bourbon, while the bourbon highlights the chocolate notes in the cigar. Drew Estate Liga Undercrown Gran Toro – The bourbon highlights honey and chocolate notes in the smoke, while the smoke brings the vanilla and baking spice notes to the forefront.